It’s a yearly, billion-dollar business, so why are we all still so clueless about fragrance? 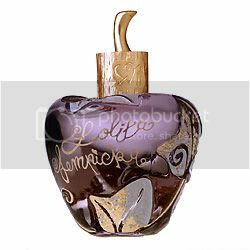 My personal history of fragrance has been built on the philosophy of, “I like what I like.” And while this philosophy is noble in that it caters to my every whim and desire, it doesn’t speak much for my educational level as far as really understanding the science of fragrance. In the interest of becoming a well-educated Fashionista, I did a bit of research on the subject of fragrance and I would like to share it with you. 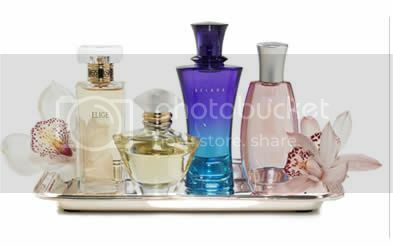 Fragrances are grouped by four types, differing based on the percent of perfume oil by volume contained. The first, and the most commonly labeled as less expensive, is eau de cologne. Eau de cologne contains only two to three percent of aromatic compounds, making them very light in nature. This also means you must use a considerable amount more than normal because they disappear sooner. The second, eau de toilette contains anywhere from five to twenty percent aromatic compounds. This class boasts the best bang for your buck, offering enough fragrance concentration to stick around throughout the day, but are affordable for all. The third class, eau de parfum, is comprised of ten to thirty percent aromatic compounds. 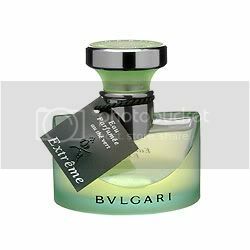 Eau de parfum perfectly balances fragrance intensity with longevity, but tend to be a bit overpriced. Lastly, perfume extract, containing twenty to forty percent aromatic compounds, is the most concentrated and most expensive fragrance class. Perfume extracts are often in the form of fragranced oils, and are packaged in very small bottles. Fragrances are grouped into scent families, based on the notes that appear as they evaporate. Most fragrances are built on three levels of notes, many times combining scent families. Floral: Dominated by the scent of one or more types of flowers, this classic fragrance family includes peony, rose, gardenia, lily, jasmine, lilac, lavender, freesia and orchid. The purity and strength of this family makes it everything but garden variety. Woody: Rustic and charming, this fragrance family claims the scents of sandalwood, cedar, pine, tobacco, patchouli and amber. The Woody family reminisces of the great outdoors, summers spent at the lake and winters by a crackling-wood fire. Fresh: Clean and vibrant, this fragrance family bursts with ripe fruits, tasty foods, fresh greens, and crisp waters. Fruits include lemon, grapefruit, apple, berry and mandarin orange, among other citrus fruits. Foody notes include ginger, sugar, and soft vanilla. Greens are green tea, cut grass, homegrown herbs, and a variety of plants and vines. Watery notes are beachy, cooling, air-inspired, iced and dewy. Fresh fragrances are fun and flirty, remaining natural and down-to-earth. Orientals: Passion and royalty are found in this far-east fragrance family, holding scents of a multitude of spices, animal musk, exotic florals, and dark chocolate. A combination of cinnamon, clove, nutmeg, and saffron are paired with tender notes of musk, orchid and bitter chocolate to create a fragrance family exuding warmth, sensuality and sophistication. Note levels include top notes, heart notes and base notes. Throughout the day, the application of a fragrance changes based on notes and as a result of personal body chemistry. Top notes are noticed immediately upon application of the scent. While top notes evaporate quickly, they form the initial impression of the fragrance. Heart notes emerge after top notes fade, and are comprised of the primary body of a fragrance. Heart notes provide a structure and backbone to the overall fragrance, yet are well-rounded in nature. Heart notes have the most staying power and can be detected for the duration of the fragrance application. Base notes are the main theme of the perfume, typically classifying the scent into a particular fragrance family. Base notes can be detected especially well when the fragrance has time to combine with body chemistry, aided by body temperature. Fragrances should be properly preserved and kept away from heat, light and oxygen to avoid deterioration. A vintage bottle of perfume will not smell the same as a new bottle of the same perfume due to the above factors. 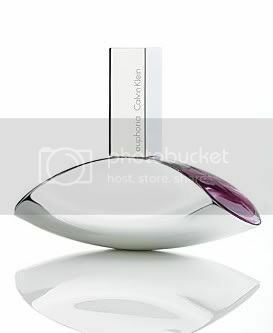 Fragrances packaged in spray bottles hold scent longer than those in topped-decanturs, because the fragrance is self-contained and oxygen-resistant. Fashionista, pack a few fragrance tips in your arsenal and you will smell like roses in no time!